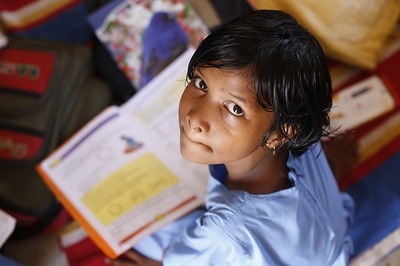 Swayam is India's latest weapon to combat the country's educational emergency. We have taken a closer look at the Indian MOOC juggernaut. If you are using digital learning you are likely to know American MOOC giants like Coursera, edX and Udacity. Lesser known are the Indian alternatives. The latest newcomer is Swayam, which boasts the largest catalogue of online courses in India. ﻿But What Exactly is the MOOC Platform Swayam? ﻿Swayam is India's indigenous online platform for distance learning. Many highly-regarded educational institutions are sharing their courses via Swayam, among them NPTEL (for engineering subjects) and Indian Institute of Management Bangalore (for management studies). ﻿Swayam was created by the Ministry of Human Resource Development, Government of India. Its mission is to bring high-quality education to the doorstep of everyone in India. The country currently experiences an educational crisis. The National Employability Report in 2016 stated that merely 20 percent of India's engineering graduates were fully fit for employment and 53 percent of arts, science and commerce graduates were considered not employable. India also sees a lack of qualified educators. Geographic barriers are another impediment to education. Furthermore, many people cannot afford committing to full-time higher education, because they need to earn a living. Swayam (Study Webs for Active-Learning for Young Aspiring Minds) was founded with the ambitious goal to improve the Gross Enrollment Ratio (GER) from 20 percent to 30 percent by the year 2020. ﻿How Can Swayam Solve the Educational Crisis? ﻿Providing Technical Infrastructure: Swayam provides a platform for the online dissemination of MOOCs, while the universities and partner institutions focus on content creation. Credit Transfer: The University Grants Commission determined that universities must allow students to transfer credits gained through Swayam to their university degree. This enhances the respectability of online courses and their usefulness. Quality Control: Technical expertise comes from Microsoft. Swayam holds training programs at local centers to improve teacher quality and faculty expertise. To avoid plagiarism, exams take place at designated exam centers. Funding: Swayam is fully state-funded and bears the cost for all distribution as well as technical support and maintenance. ﻿What Kind of Courses Can You Find On Swayam? Swayam provides offers for school pupils, university students and people who want to take vocational qualifications. There is an emphasis on engineering and natural sciences, subject areas which are especially important to India's economic development. ﻿There are two types of courses that you can find on Swayam: a) schedules courses and b) self-paced courses. Courses last between 10 and 100 hours. Individual videos typically last between 3 and 15 minutes. If you want to enroll in a course you need to create a user account. The account comes with a progress tracker, a personal calendar and a personal directory of one's chosen courses. Written Course materials (usually PDF files) complement the lecture videos. Swayam is also available as an app for App Store, Google Play and Windows Store. Interaction between students and lecturers happens through discussion fora and you can also directly contact the departments. Some courses can be taken to certificate level. Assessment is done through multiple choice, final exams or written assignments. Fees apply. Certificates come with the name of the candidate, the score, and are verifiable via the website of NPTEL. Most courses can be watched free of charge. Fees arise only if you opt for the certificate option. ﻿As with every new initiative there are also some downsides of Swayam. In terms of website design Swayam still needs to learn a lot from its U.S. counterparts such as Coursera and edX. Also, we didn't find the course search intuitive enough. Sometimes we could not see which of the written course material belongs to which video lecture. This is confusing and can make it slightly difficult reading the script while simultaneously watching the video lecture. Some lecturers have a presentation style that appears tiring to some. For course participants used to American English, understanding the accent of some of the Indian lecturers can also be a challenge. Also, it is overly complicated that learners need to open the presentation slides separately from the video. It would appear more professionally if the slides were faded into the video. This is how other big MOOC providers such as Coursera or edX are doing it. ﻿With a population of 1.3 billion and 460 million internet users India has a huge potential market for online courses. The smartphone revolution is further fueling internet connectivity. Businesses too are progressively embracing the possibilities of digital learning for employee training. 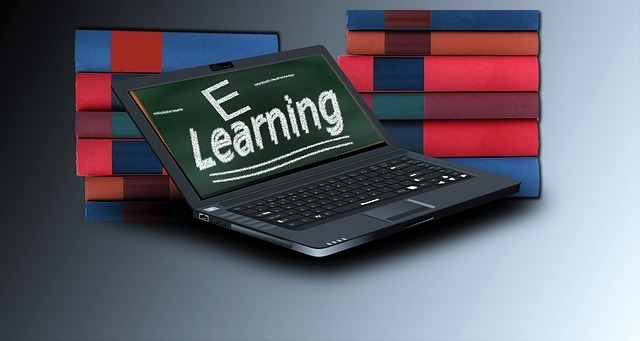 E-learning providers are therefore well-advised to keep an eye on India. Indian MOOCs may also become increasingly attractive to a Western audience, because India will be one of the major producers of MOOCs in the future. Courses by Indian universities currently provided via edX show that Indian universities have the ambition and the ability to deliver high-quality educational content to a global audience. Check out these courses by the Indian Institute of Management Bangalore and the Indian Institute of Technology Bombay which are provided via edX. ﻿Browse thousands of online courses from various providers in 22 subject areas in our directory (MOOCs, online lectures, and other online courses). Just test a free MOOC yourself. And register for our Course Manager to efficiently organize your online courses. And also subscribe to our newsletter here, and follow us on Facebook and Twitter!